of products ranging from standard prints to coffee mugs. Browse through our product line by selecting from the items listed below. Don't miss a season! 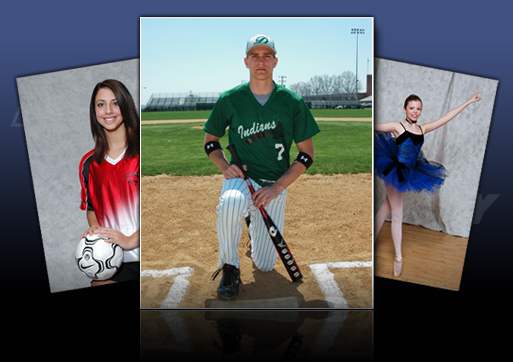 We offer standard portraits for any athlete in every sport. Portrait sizes range from wallets to 16" x 20".